Many of us are looking for ways to save a little more money. The money saved can be used to invest and build wealth, or to pay down debt, or to just do something fun. No matter how small the individual savings are, the cumulative effect of saving can be huge. A few dollars here, and a few dollars there can really add up over time, especially if you can take that money and invest it or use it to pay off debt faster. You probably already know a few good ways to save money and I’ve covered quite a few right here on this site. 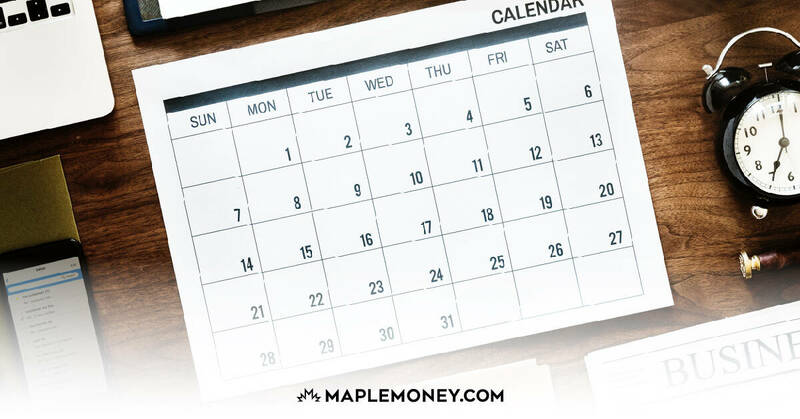 Figuring out how to save money monthly and annually is one of the best ways to make the most of your paycheque, and put your feet on the pat to financial freedom. You might be surprised at how much money you can save each month just by looking at your regular spending. The reality is that most of us waste 10% to 15% of our income each month. From impulse purchases to the careless way that you use electricity, there is a good chance that you’ve got waste in your budget that you can recover and put to good use. Start by looking to reduce your utility bills and other recurring monthly bills. Think about your energy use and your water use to figure out ways to save money on your electricity bill, gas bill and water bill. Two other services that have many opportunities to cut back include the cable bill and cell phone bill. Reducing these five bills could easily save you over $100 a month, or more than $1,000 in a year. That’s not too shabby at all. With your bills whipped into shape, lets look at how to save money each month by reducing some other expenses. Consider your spending on regular items that are part of your every day living. Think of ways that you can save money on groceries or save money on gas. Also, think about which subscriptions you can cancel, as well as other frivolous spending that might not be necessary. These monthly costs might be slowly draining away your wealth. Finally, look at some of your bigger monthly expenses. Saving money each month isn’t just about penny pinching. You can save money each month by refinancing your home so that you have a lower mortgage payment. It’s also possible to save by shopping around for better insurance rates. Whether it’s auto insurance or home insurance, you can save big each year by getting the best premium. These larger savings can benefit you for years to come. Don’t forget that there are a number of expenses that come around each year. Holidays and seasonal milestones are regular, and they can set you back if you aren’t careful. There are many ways to save money on annual expenses. You might look to save money on a birthday party or save money on back to school shopping. One of the best ways to do this is to consider seasonal sales. You can save a great deal if you pay attention to sale cycles and buy when items are a good deal. You can also save by planning ahead. If you see a great gift on sale, buy it, and then use it as a gift later in the year. Other seasonal costs, such as gardening expenses, can also be planned for. You can also take steps to reduce your heating bill during the winter and your cooling bill during the summer. From the extracurricular activities your kids participate in to the anniversary weekend you spend with your significant other, pay attention to the expenses that you know are coming up. Save up for them ahead of time, making sure there is room in your budget. Don’t forget about gifts and entertaining for holidays. While these expenses aren’t usually “needs,” they do add a little bit more to your social life, and to the year in general. However, you still want to make sure that you save money on Christmas shopping and also save money on Valentine’s Day. Holidays should be about spending time with family and friends, not about going into debt! Look for sales, and employ other methods of saving money. You can also plan ahead for these events, and avoid financial difficulties. Getting away for some time off isn’t always cheap, but many of us need the break. With a little planning, though, you can save money on vacations and even get a few ideas to save money on car rentals. Don’t forget to look ahead for discounts on hotel rates and airfares. There are many travel sites that can help you bundle your savings, and even get the best deals depending on what time you book your travel. Sites like Groupon and Living Social can also help you find great deals that you can use when you travel. Don’t forget to consider cooking your own meals with food you bring along in a cooler (or buy from the local grocery, rather than eating at a restaurant). Look for discount codes whenever you can. Before you buy something, search for a promo code. It’s possible to find online discount codes for almost any store. You can save between 5% and 50%, depending on the code you find, and whether or purchase is eligible. There are also sites that make it easy for you to print out coupons, and apps that allow you to store coupons on your phone. It’s even possible to get discounts when you check in at certain places using your phone. These geographically based savings can boost your efforts even more. It only takes a few seconds to look for a discount code or coupon, and when you make it a habit, the savings can really add up. I’m always looking for more ways to save money, do you any other money saving tips? Good tips. Pack a lunch for work. It’s a huge money saver in and of itself your looking at about $125mth in savings from this alone.. I totally agree with you Tom. Packing a lunch for work saves money in both the short-term and the long-term. I have been packing lunch and saving money for years, while my co-workers have been buying lunch for years. In the long-term, their health from eating so much fast-food and unhealthy food choices has taken a toll and is now costing them even more money. Money they are spending to try to fix the health problems. I’ll take my packed lunch and good health any day. I was able to cut my monthly house and car insurance bill each month by over $50 by increasing my deductibles. I started by eliminating the daily coffees, I now brew my own and bring via my thermos. Totally agree! I have a kettle here at work, so now I’ve just found the instant coffee I like and that’s good enough! Coupled with swapping out the daily / every other day muffin from the local countrystyle to bulk nutrigrain bar purchases, I’ve managed to save over $100/month and have noticed some weight loss too! Crazy – $1200 / year on coffee. Agreed. I used to make coffee at work using instant coffee. I also made my breakfast at work using instant oatmeal that is weary health and super cheap. At my place of work, electric devices were not allowed. I managed to make my coffee by using instant coffee and hot water that was available. At home, my husband and I are using refillable coffee cups in our Keurig machine to make excellent coffee without spending all that money buying it at coffee shops. I buy house hold products (paper products, laundry detergent etc) on sale and use coupons if I have coupons on the sale price. I started doing this 1.5 years ago and this hs reduced my weekly grocery $25. I’m always impressed by all the ways people use to save money. I’m pretty frugal myself and a great way to keep track of my expenses is registering at Mint.com Canada (the same software company that makes QuickTax). They provide all sorts of services that allow you to keep an eye on all your income vs expenses, for free. It sounded fishy at first, but it seems to be working… Does anybody know anything more about this software? Please tell me if I’m getting hassled. Anyways, thanks for the interesting piece Tom. You hit the nail on the head Claudia. I have been using Mint for three years now and it is easy to track my expenses with my computer or iphone. I was shocked at where some waste was taking place! By making some small changes and sticking to the budgeting built into Mint – the savings paid for my new bathroom reno and hardwood floors. Not insignificant! Famous Chinese proverb – “The saving man becomes a free man.” So we must see all the options of saving the money without compromising our basic necessities. In that connection I really appreciate the money saving tips given in this Blog. Thanks for the mention. Public transit saves a lot of money and although it’s not as fast as driving your own car, it’s easy to catch up on emails, the news, and blogging while en route. Live by a subway station. That’ll make it faster, cheaper and you’ll still have time to multi task…. Oh not to mention, it’s a darn good investment. Its bound to appreciate in price faster on average. Nice collection – I had to go read the one about saving on cable. We only started getting Satellite TV a couple of years ago and are already disappointed with the price vs the selection. You suggested negotiating with the company, any tips on how to be a better negotiator? Do not be afraid to call. Liberated from your fears, you will definitely find the right words to present and win your case. This one works well, especially with your cable company! If you call them and say you are going to switch to their competitor because they are cheaper, they usually will cut your bill, sometimes in half and also offer other incentives such as premium channels. I have a friend who has done this twice and has had some premium channels for a year now! Here’s one more – contact your credit card companies and ask them for a reduced interest rate. If you have a history of on-time payments they may very well do it to keep a good customer happy. What do you have to lose? Nothing, but you have plenty to potentially gain. Apply creativity to your spending. It’s easy to go and buy something new, but it’s also the most expensive way to go. It takes thinking outside the box to come up with inspired solutions that don’t require money. Ask yourself, “Do I have to buy something new, or could I get creative with what I already have?” You could get together with your friends and start a babysitting co-op, or make “new” curtains from your favorite tablecloth. A great way to save on vacations is to just stay close to home and have a “staycation”. There are usually a great many places nearby to which you can go on day trips and build your deposits in your memory bank. Do a Google search for “staycation” to get more ideas. Over the last year I have started planning my meals for at least a week in advance which has saved money at the grocery store as I only buy what I need, no extras. Also try to avoid Costco and if I go there whatever I buy has to meet the criteria” Will I use this all within this month?”. Also have cut out buying Coffee at Starbucks, always try to plan ahead and bring a coffee from home with me. These two things have really helped us cut our family of 5 monthly spending. I have done the math and Costco is cheaper for paper products, cheese, bread and coffee when you calculate to “per sheet” or per 100g cost. Sometimes things are on sale in grocery stores but the package size is reduced and it is not a bargain. We go to Costco once a month but with a list. we never go grocery shopping without a list. We shop at the same store every week and have made a price list of cost. our budget is $100/wk and with the price list we know exactly what we can get for that amount. There is no throwing extra in the cart or it sends us over our limit. It’s a fun challenge to “exchange” items on the list as we’re shopping if we come across something we forgot or just can’t do without that week. Good Tips here. I pack a lunch daily, and find this a great money saver, I also limit myself to 1 coffee purchase per day. Always looking for some ways to save some money. Thanks for the tips! Another thing you might want to try is paying your credit card bills more frequently. By paying your bill more then one time per billing cycle you end up paying less in interest. As you yourself pointed out paying cc partially, even few times won’t save you anything because you’ll still end up with interest, so unless you pay cc in full, no saving can be mentioned. Different story, when you are getting out of debt, paying more and more definitely helps. My biggest problem area is traveling. I realize that proper planning will dramatically reduce the amount I spend during trips, but there are always things that come up along the way that are easy to forget during the planning process. I think my best bet is to take small steps, like leaving credit cards at the hotel room and only bringing enough cash for a few activities. This will keep my spending down but won’t get in the way of having fun at the same time. Ya i have also quit buying coffee. I know its all good, but starbucks coffee is just a rip off. I also never eat out, I always take my own lunch. I also save money from every purchase i make from my debit card. The change is always automatically transferred to my savings account. It adds up pretty quick! When I travel, especially with the children, I always pack snacks, drinks, lunches and keep the kids full. This is one of the quickest ways to waste $50-$60 fast. We plan inexpensive day trips to things or free trips and pack a picnic, often small outside towns have zoos, water parks, and activities for a fraction of the price. We also rent all our movies free from the local library and the kids do weekly reading there and get free coupons for local attractions for reading. I always plan the grocery menu on the weekly flier savings and in addition use coupons if possible on the price match item. This all adds up quickly. When I travel, I’ll bring an empty bottle for water and fill it at the airport. It saves $2 each time and with the amount that I travel, it adds up! I’ll also bring a granola bar to keep me from having to eat at the airport. We just updated our house to save money with energy consumption. Now that we are headed into winter, our newer windows will help save heating expenses. I think its time to get those summer house projects down since winter is just around the corner! Love the money saving ideas! Do you mean coffee? You brew your own coffee? That’s new, but if you really spent that much on coffee that’s not a bad idea. Its all depends! You co-workers were sociallizing, exchanging ideas, building teams, enjoying themselves. You can possibly start saving money on not going out at all and cancelling all vacations. For example, I have been lunching with the boss for last year, even occassionally buying pizza for him. Well, I ended up beeing promoted this year. All the money will be returned with some handsome profit. I am not saying that pizza helped, but you have to value time, spending with other people. Well articulated saving tips but like every tips it down to the household, firm and government to make the decision often they lack the will and wilt to cut spending and increase saving that what got everyone into this mess. Great article. Buying coffee everyday added up in a hurry, so for my birthday my husband bought me a Tassimo coffee maker so that I can have my lattes and he can have his dark roast every morning and it costs us a fraction of the price (we work together!). We run our business like our home and are always looking for ways to reduce expenses and stream line efficiencies. Pennys may not be counted by many people now a days, but they add up in my book. Great tips, but I believe taxes are the biggest expenses of a middle class person. I do agree that tax is the price one pays for living in a civilized society, but how much tax one pays must be optimized. There are a lot of people who live frugally cutting corners, but are not that careful when it comes to their annual tax planning exercise. I like the one “Save on what you can to spend on what you want”. Powerful line. Taking lunch to work will save you $35 or more a week. Also, like you said, phone and cable bills are pretty costly. Look for best deals… Great article. Wow, I couldn’t help but be shocked at how much the commenter Scott said his sister spends on Starbucks each month, no offense intended! We save money by not buying junk food for our 4 kids, because three of them are teenagers and would eat it all within a day, not to mention its unhealthy. They have to snack on cheese and fruit, aren’t we mean? We shop at wholesale clubs for paper products like toilet paper, etc. but we have found that we can buy our meat from a local meat market for less, and the fruits/veggies from a farmer’s market for the same price, and they are fresher. Thanks for the saving advice. My biggest thing is bringing a lunch to work. I have done the math on it and it could easily save me $300 a month. Laziness, however, gets in the way of that. I work part time and my husband works full time….so obviously he makes more money….when he get’s his pay check i automatically go on line and put money on our utility bills….50-100$.Even if the bill is not due. This way when the bill comes in it’s usually enough and has already been paid…it seems to be easier to plan and since we have the money in our account it seems like the smart thing to pay it early so at the end of the month there is no need to worry about these payments. Forgive me bark on it but where do you saving here? You just simply credit these monsters unless you count on some thank you letter:). They won’t give you any interest on advance paying, nor bill reduction. Instead of sending these $$ right away, punt them into saving and pay your bills when due. If you worry to forget- keep calendar. There are a lot of people who live frugally cutting corners, but are not that careful when it comes to their annual tax planning exercise. Education is the biggest tool to reduce expenses. Great tips, Tom! We are always looking for advice on saving and financing for retirement to share with our community and everyone here has offered some good simple ideas too 🙂 Will share this article with our community! 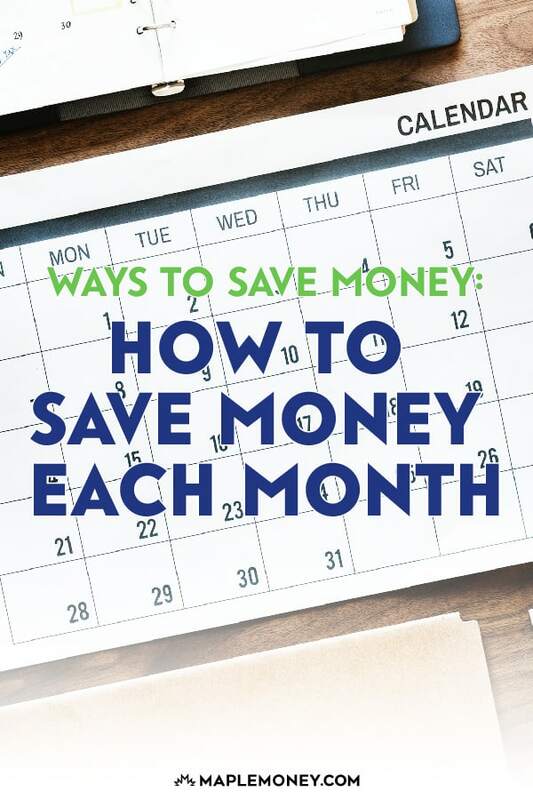 There are definitely tons of tips people can use to save money – all they typically require is just a little bit of work in the form of research and shopping around. A great strategy is to look for a new way to save money each week. It will take only a little bit of time, but can result in hundreds of saved dollars down the road. You can call up the cable company and negotiate for lower rates to save a couple hundred a year. I made a post on how you can do this for your cable, phone, and internet bills. 1.Email instead of sending letters and save money on stamps. 2.Cut out the junk food. make your own burgers or buy frozen pizza. 3.Most big stores offer regular customers a loyalty card free of charge, use it with your monthly shop and you can see the price drop as soon as you reach the checkout. 4.Look out for special offers, of course most of the sales like three items for the price of two are genuine, if it is something that you normally would buy then go for it. Cable TV should be at the top of the list. 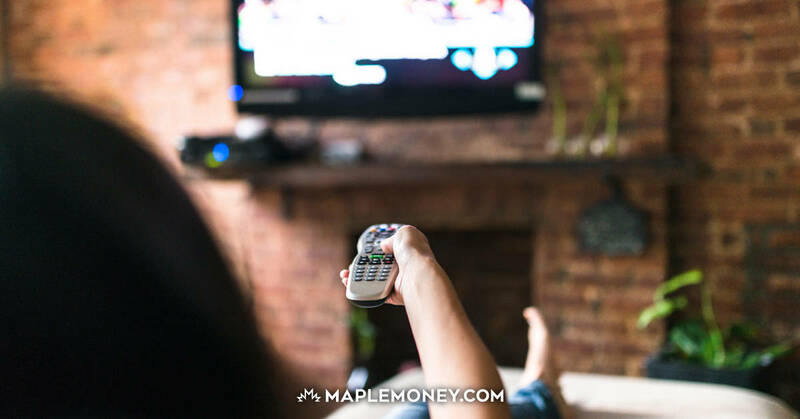 People could save more than $1000 just by making a good juice on selecting a cable TV. My secret to finding the best-fitting jeans and never paying over ten bucks a pair: Value Village. I’m still looking for a $2 bill to stretch. Meanwhile, canceling cable and throwing out my TV has saved me a ton for many years running. TV is a good thing to not be in your home. With replacing our cable TV with Netflix, Buying my mobile device contract out and participating in bring your own device program we are saving $1600 a year. Investing this savings over ten years means we will have roughly an extra $20,000 in our investment accounts! Pretty significant savings for changes that have little impact on the quality of your life. Coffee brands are status symbols and really we have gotten so lazy that we need keurig to make coffee. now, whats with that? We all act like we are so busy. C’mon now??? I’m doing alot of those tips saving money.But in the end of month there is no money in my pocket… :(. Thats the point that i need hepl. Thnx very helpful tips. How about bit different strategy Tani – save first, spend second. Example – park some on your saving once you have paycheque and withdrawn when needed. Do it for month and see if you have saved any? Might work this way. Your post sparked an idea, what about monthly spending challenges based on a different expense? I’m thinking something like picking something each month (something I spend too much on or something specific to the month) and setting a spending goal for it. Seems easier than trying to cut spending across everything at once. Some smart tips, I like the idea of cooking while traveling. Call your cable, phone and internet companies to ask if they have any promotions for existing customers. You can save if you combine home & auto insurance with the same company. Use a service like kanetix or insurancecanada to find the companies that offer the lowest rates for your postal code. Grocery stores price according to local demographics. Shop in a lower income area to find more deals & discounts. Go through ebates or airmilesshops if you shop online to get extra rebates or points. I collect pc points (you get points by using their cards and reusable shopping bags)and have gotten hundreds of dollars in free groceries. I am an avid points collector – airmiles, pc, shoppers optimum, petro points. Most of my credit cards give extras like points or cash rebates for purchases. I find really good prices at stores like Almost Perfect and Dollar Tree. I swear by the Flipp flyer app. I have used it to save a lot. Going back to cable, you can even cut it off and use something like an android box for shows with a digital antenna to catch local news channels. As for vacations, you can use groupon getaways, wagjag etc.or sometimes you can go to a vacation destination or on a cruise in exchange for writing a review article on your experience. You can find some great things at second hand or consignment shops like decor or art pieces, just clean them well. Speaking of cleaning, you can make your own cleaners from natural ingredients that cost less and are better for the environment. Grow your own vegetables, fruits and herbs. Tomatoes are very easy. You can freeze or preserve any excess. If you have fruit that is very ripe, throw them in the freezer for smoothie and baked goods recipes before they go bad. If you have yogurt which has reached it’s best before date, throw it into the freezer for fro-yo. You can also use items past their best before date (especially dry goods) – it’s not an expiry date. Great blog! I’m now a subscriber…and looking forward to viewing more posts! Question for you…what are your thoughts on managing cash flow. I know this is key in determining affordability…for anything really! I couldn’t find any information about structuring a solid cashflow plan. What are your thoughts on this? I did find this hilarious video on YouTube though…turns out is just some sample video..but I think in kinda nails it as far as Canadians becoming inundated with debt…check it out..